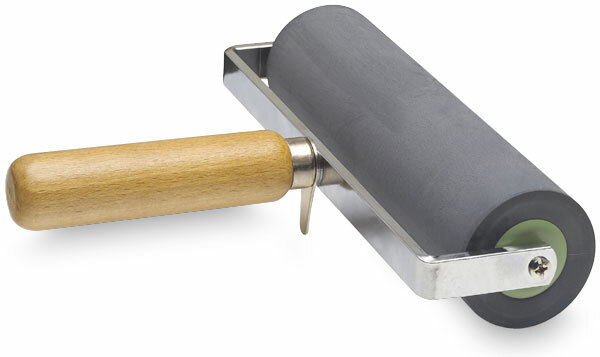 This professional quality brayer meets the demands of all professional etching artists. The rubber is super soft, about 1/2" thick, durable, and long lasting. The brayer has a wood handle as a finishing touch.